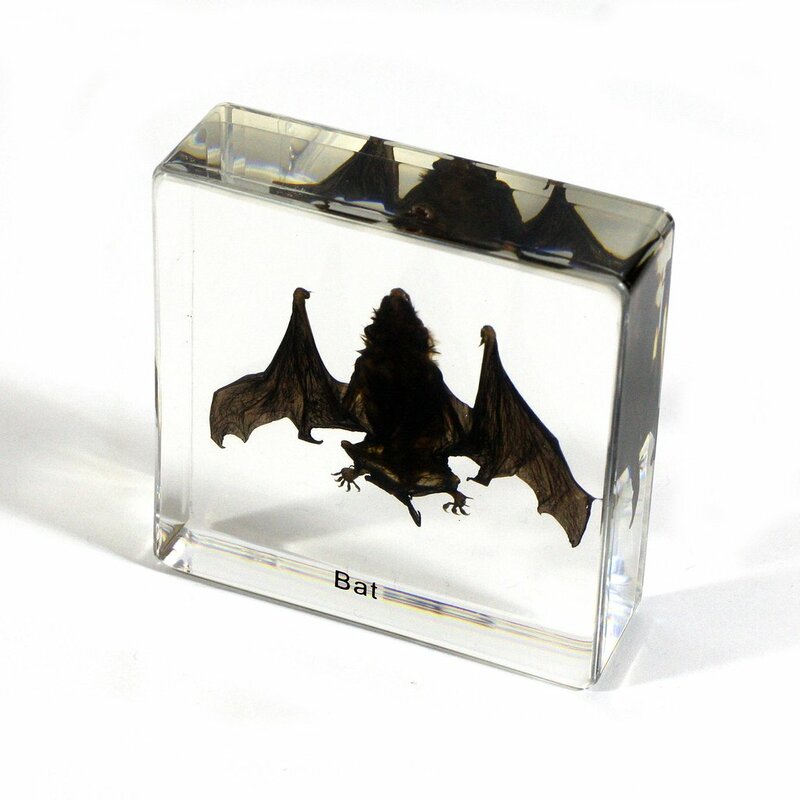 This item has a REAL Small Bat in a solid clear acrylic. This Small Bat can be viewed from all sides to see details and colours up close. Acrylic size: 3 x 3 x 1 in.